You definitely will be crazy when your laptop is great except a dead battery. So if you don’t want your laptop to retire because of the battery, you should learn some techniques to keep your laptop battery working for as long as possible. With proper care and luck, it would last until you replace your aging laptop. The first thing you should remember is to keep the battery cool all the time. If you like to work with the laptop on pillows or cushions, then never do this again. It will make the battery hot and break down the battery. You should make sure the vents are unblocked when you use your laptop. Absolutely, the vents need to be cleaned regularly with a can of compressed air to make sure it would perform well. Second thing, you should remove the battery if you are planning on working exclusively on AC power for several days or more. If not, the battery will be constantly charged and discharged. The battery also will be heated in this process. Third, if you don’t want to crash your system or even damage your hardware, then never remove the battery while the computer is on or in standby or sleep mode. So just wait the laptop to completely off or hibernate and then remove or reinsert the battery. In addition, if are going to take the laptop on the road, you should reinsert the battery and let it charge for several hours before unplugging the machine. Make sure the battery time gets a full charge before you remove the AC power. Follow these tips and your laptop battery won’t die so soon. Absolutely, there are many other things you should do and shouldn’t do. 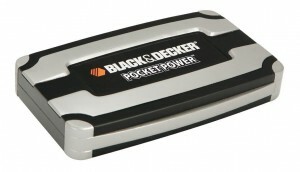 Search online when necessary to take good care of the battery.